Makenzie is so proud of herself! SHe is doing to well in therapy and at school!!! I also upped her feed today to 2 oz 3 times a day and she has done great! A little reflux but no vomit!!! Yeah Makenzie! Thank You Jesus!!! I posted some really cool video and some more pictures but am having problems posting them on this blog!? Please go check them out at www.dropshots.com/makenziesmiracle ! Drop a comment while you are there! All you have to do is type in your name and a note on the right side of the screen and hit enter! Easy peasy!!! I would love to hear from all of Makenzie's Prayer warriors!! We Thank You all for everything! 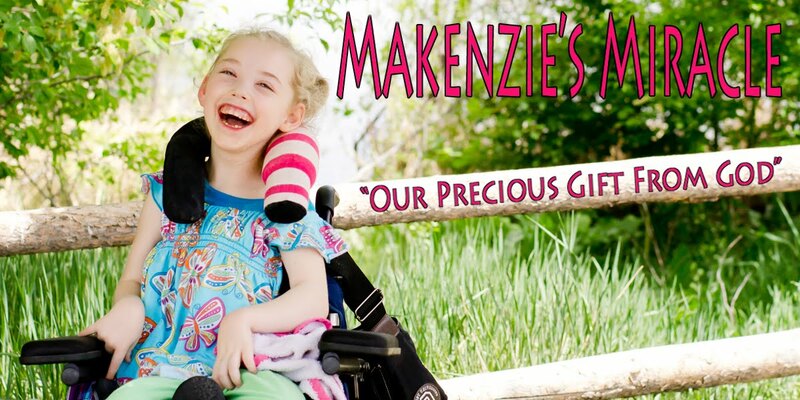 We thank you for all the plans that you have for Makenzie We declare that your plans are more powerful than any challenge that she is facing. However, we know as Makenzie’s parents we have a role in seeing her fulfill her destiny. We ask that you would make it very clear to us what type of help and assistance she needs. We pray that if we need to make any corrections or changes to her schedule or life, that you would show us what to do. We ask that we would be led by your Holy Spirit and not by any anxiety that we may be facing. Our desire is to do what you are calling us to do. We ask that you would increase our ability to understand and hear your voice. We thank you that you are a God of all power and love. We thank you that you do not require us to do everything perfectly. Instead, you ask us only to be faithful.